Writing paid product review is one of the easiest methods to make money online. Whether you are a shopping enthusiast or just looking for ways to make money online, paid product reviews are your opportunity to make some extra cash. All you have to do is express your honest thoughts about the product which can help other people to decide whether they should buy that product or not and in most cases, you will receive the money as soon as your review gets published. However, just like any other method of making money on the Internet, there are plenty of fraud and scam websites who say that they will pay you for your reviews but do not fulfil their promise when the time for the payment comes around. That’s why for our readers, we have brought a list of legitimate websites who really pay for writing reviews. 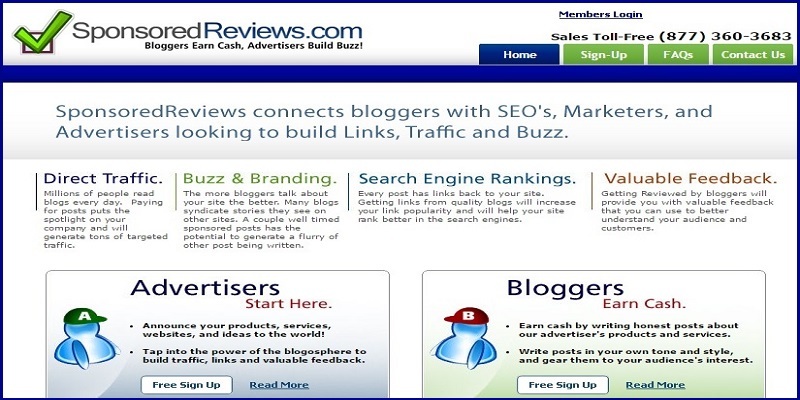 Wasting no more time, here is our list of top websites to get paid for writing reviews. Whether you are a housewife who has to buy supplies for home every now and then or a tech geek who is always full of enthusiasm for getting his hands on the latest gadgets, our list of paid review websites includes websites of many different categories to help you in finding the most suitable review website. Review Stream is one of the best-paid review websites I have come across. The range of products you can review varies from baby products to electronics, CDs, movies, and even canned goods. So if you think you can write on a large variety of topics then it’s certainly a good place for you to start with. You also get paid extra money for getting upvote on your reviews, meaning that if you are expert reviewers and can write really helpful reviews then you can expect to get some extra reward for your reviews. Although Review Stream only supports PayPal as payment methods that is a downside for them. The minimum threshold for the payment is 50$ which is a bit high compared to other sites paying through PayPal but is still reachable within a month. If you are not aware about then you can read How does paypal work. Ciao is another great paid product review website offering a variety of products for you to review. There are many different categories to choose products from like Fashion, Beauty, Computers, Home and Garden, Electronics and more. The site has a different version of it for different countries so if you are looking to review a country specific product which you can’t find on any other site then Ciao is the perfect place for you. The minimum threshold is only 5 euros which can be reached easily. However, their revenue generating system is a bit different and to encourage real reviews, you only get paid when your reviews receive a upvote. Another thing which might create a problem is that they pay only through Bank Transfer meaning that payments arrive a bit late compared to the instant PayPal payout. The shared review includes a number of unique categories such as Finance, Automotive, Travel and more. This means if you are looking to review a product not found anywhere else then there is a heavy possibility that you will find it on Shared Reviews. The Unique category list also results in a number of never seen elsewhere products waiting for you to review them such as local businesses, credit cards from finance companies and more. The minimum payment threshold is just $10 and the site accepts reviewers from almost every country. The payments methods are vary depending on your location. Sponsored review is a bit different website from what we have listed till now. 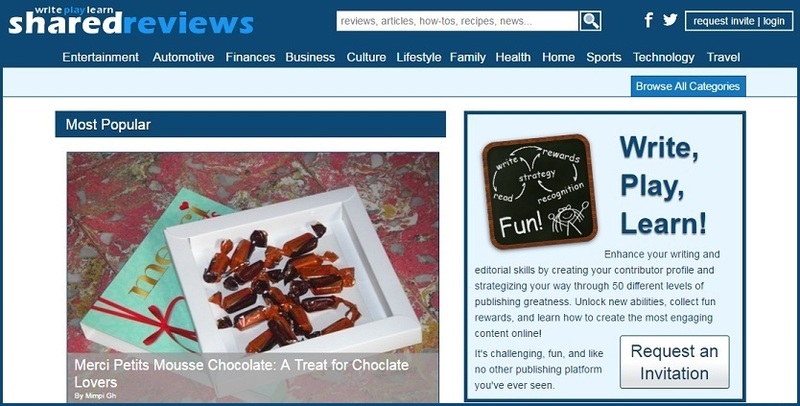 It offers bloggers and webmasters to make money through writing and publishing content on their blog. So if you are a blogger looking to make some extra cash from your website other than the advertising revenue, then the Sponsered review is certainly a place for you. The is a wide range of categories to choose from to get sponsored review of a product meaning even if your blog is in a niche where ad revenue is not very high (entertainment, how to guides etc) then you can still make a steady income from it without much effort. The good thing is of course that the money paid to you for a single review is generally more than what you will earn after writing 20-30 reviews, the bad thig however is that you will need an established blog to get paid. If you are a geek spending most of your time watching videos and surfing pages online which are completely irrelevant to your life, then User Testing is a site I bet you will like. It’s based on the idea that all websites should be designed according to the needs of the user and the UI should be completely user-friendly. So people who have websites and want an expert opinion on how user-friendly their website is, pay money to UserTesting and they share the revenue with you to review the website and tell the owner about it. You get a straight $10 for every review which I believe is one of the highest amount paid for reviews around the internet. You will have to submit your review in video format means the reviews are all verbal. So if you are not a very polished writer but are still looking to make money online then you will find Usertesting.com really helpful. So these were the best paid review websites we could found. Now you are ready to choose any one of them (or all of them) to start writing reviews about your favourite products and make some good money while doing so. However, before starting you should remember that if you are really looking to make money from your reviews then the best way for doing so is writing the top quality reviews for whatever product you are writing about. Your review should be informative, grammatically correct, and should help other users to decide whether they should buy that product or not. Try these websites and do let us know your experience with them in the comments field.